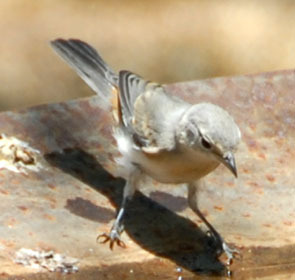 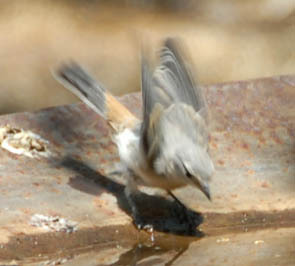 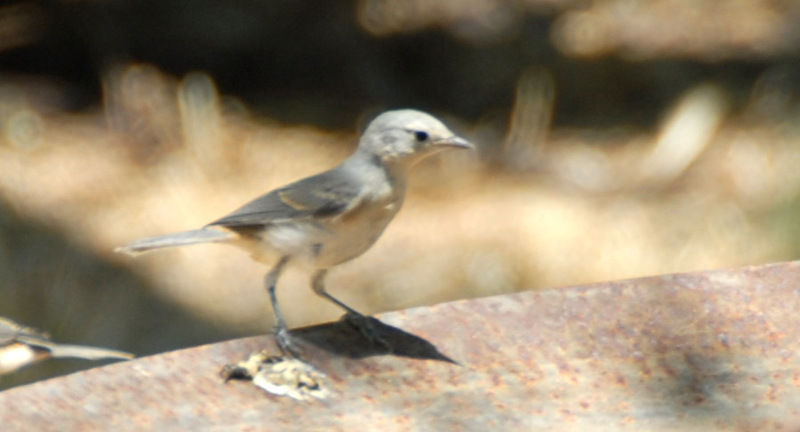 We saw below a group of these birds flitting about this drinker at the Clayworks near the San Pedro River on June 28, 2008. 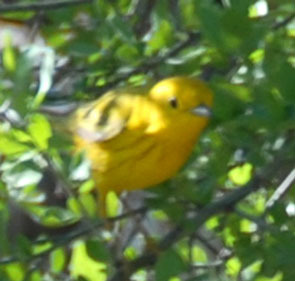 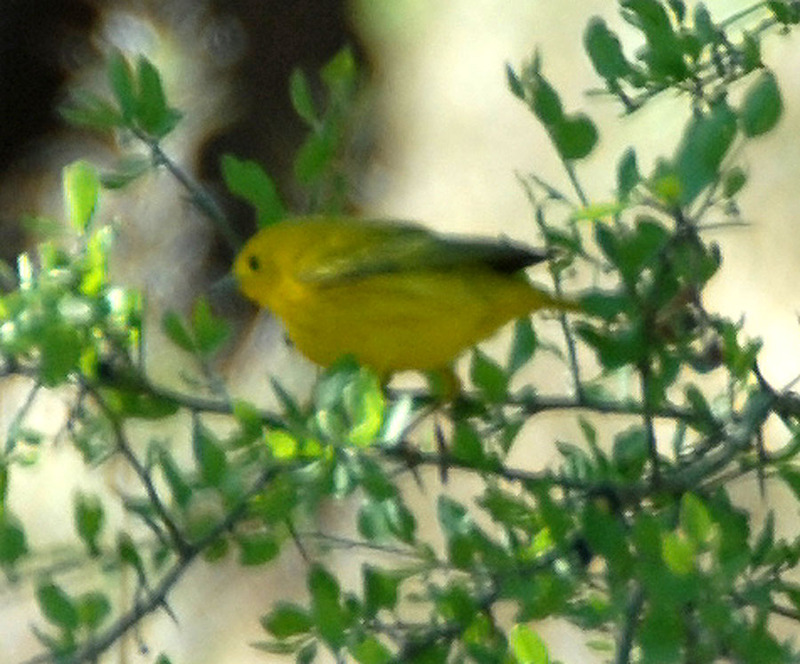 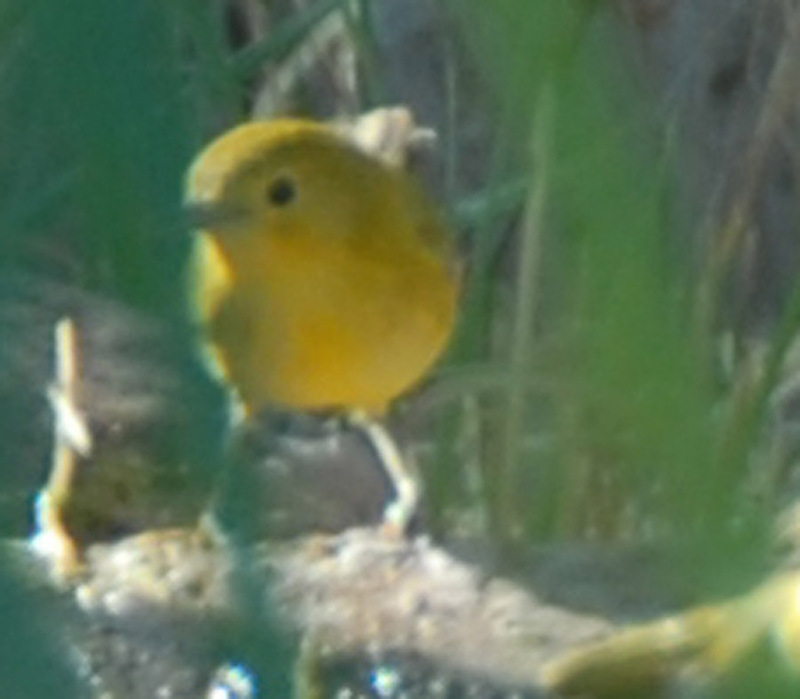 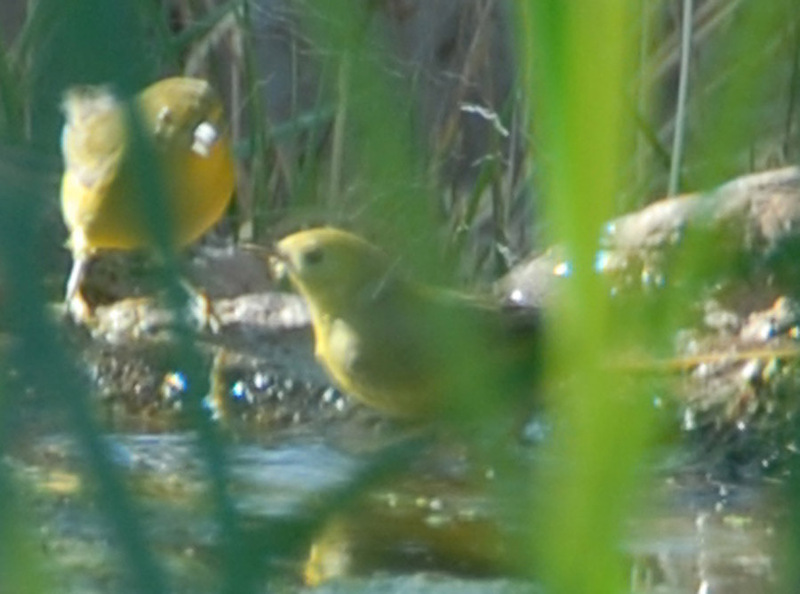 The distinctive marking of Lucy's compared with other warblers is the chestnut-colored rump patch, which shows most clearly in the inset image far right. 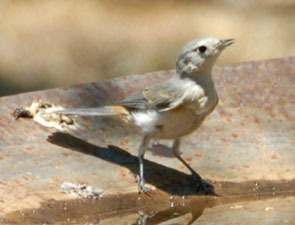 On these particular birds the white eye-ring is not very noticeable, nor is the chestnut crown coloring considered typical for these birds. Click on each image below to enlarge it. 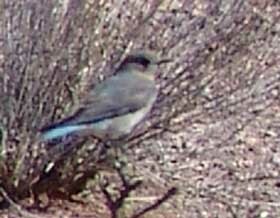 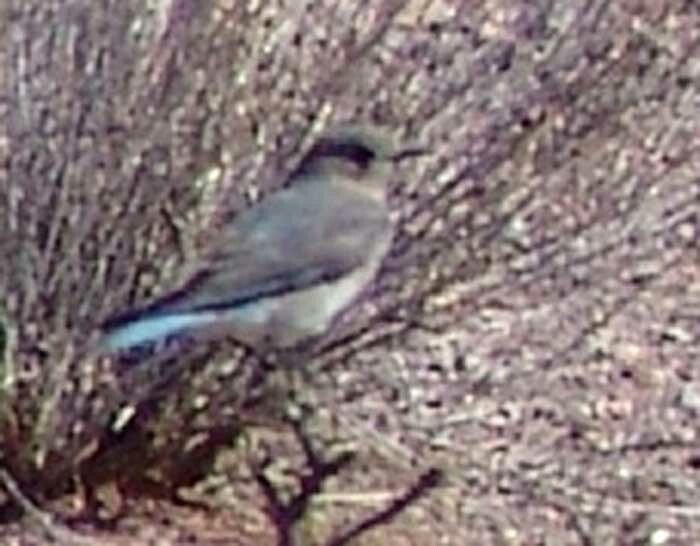 We saw this solitary bird in an open field along a Lower Hot Springs Canyon high terrace in February 2007. Mountain Bluebirds are slimmer and thinner-billed than Western Bluebirds. 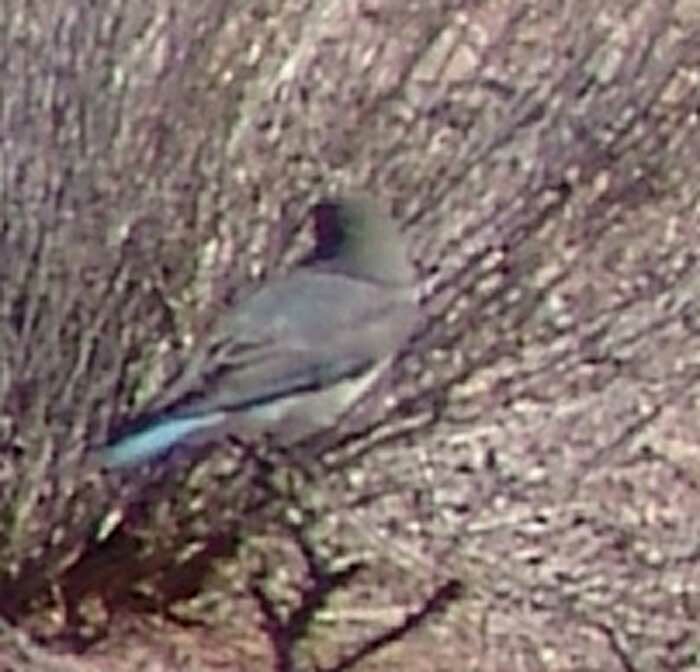 The feature of this particular bird that made it detectable was the pale blue of its tail, otherwise it blended so well with the shrubs on this gray day that it would have been missed at this distance (images are 7X optical magnification, our max on this occasion). 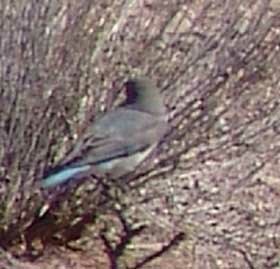 Mountain Bluebirds winter in our area, but retreat further north the rest of the year. 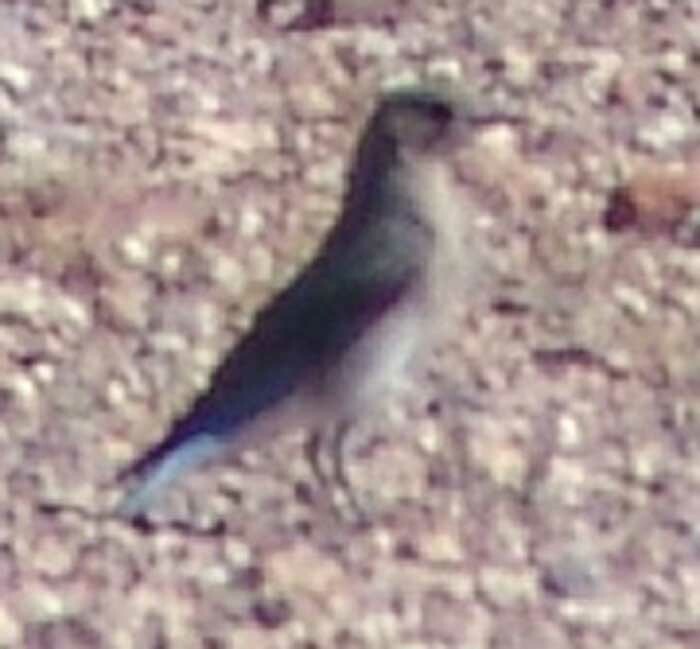 Click on each image to enlarge it.